Home /Blog/In-depth: Who is eligible for the new reservation quota for general category? With four months to go for the General Elections and in the face of reality checks in the Rajasthan, Madhya Pradesh and Chhattisgarh polls, the Union Cabinet yesterday cleared a proposal to grant 10% quota in government jobs and education for “economically weaker” sections. This is over and above the existing 50% quota for the Scheduled Castes (SCs), Scheduled Tribes (STs) and the Other Backward Classes (OBCs), and the proposal will take the total reservation to 60% if passed. Since the Constitution has no mention of “economically weaker” people, the proposed quota for this category will require an amendment and at least two-thirds of the members in both the Houses will need to support the bill for it become a law. 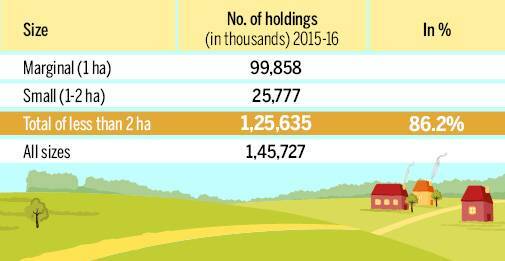 An annual income of Rs 8 lakh translates to Rs 66,666 per month. However, according to the 2011-12 NSSO report, Key Indicators of Household Consumer Expenditure, the per capita income of the top 5% of Indians stands at just Rs 4,481 in rural areas and Rs 10,281 in urban areas. 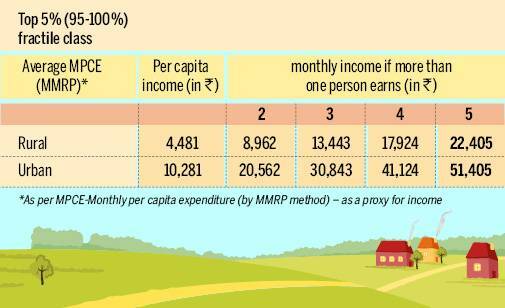 This means that even if a household boasts five earning members, the family’s monthly income won’t exceed Rs 51,405, which is much lower than the limit set under the new reservation norm. Moreover, the Socio-Economic Caste Census 2011 revealed that only 8.25% rural households have monthly income of more than Rs 10,000. People having a residential plot of more than 1,000 square feet, but that’s probably less than 20% of the country’s population. The 2012 NSSO report on housing conditions showed that the richest 20% of Indians lived in houses with an average floor area of only 500 sq ft.
“At present, the economically weaker sections of citizens have largely remained excluded from attending the higher educational institutions and public employment on account of their financial incapacity to compete with the person who is economically more privileged,” reads the Constitutional Amendment Bill number 124, adding that the benefits from the Constitution’s articles discrimination and equal opportunity generally do not apply to them. Hence, the bill proposes to amend the Constitution to ensure that the poor “get a fair chance” in life. The past few years have seen influential castes like the Marathas, Rajputs and Jats hit the streets – sometimes protesting violently – seeking reservation benefits. Though governments in states have tried to pass laws to meet such demands in the past, they are often struck down by the courts on the grounds of the famous Indra Sawhney case, where the Supreme Court had set a cap of 50% on quotas. But in November, the BJP government in Maharashtra announced a 16% quota to the politically influential Marathas as a “social and educationally backward class”.